Home > Reviews > Synergy WorldWide – Spend Money To Make Money? Synergy WorldWide – Spend Money To Make Money? Welcome to my detailed review of Synergy WorldWide , a Utah-based MLM company that offers health and wellness products. As a matter of fact, both companies don't have too much in common, except that they both operate as MLM companies. While Nature's Sunshine received a mainly positive review from me, I can't say the same about Synergy WorldWide. So, if you are keen to learn more, especially about the compensation plan and if you actually can earn money, please rad on. Spoiler alert: with Synergy WorldWide you have to spend money (and quite a bit) first before you even earn anything. Looking for new ways to get more leads and sales without actually talking to anyone? Read more about how you can catapult your leads with any MLM and network marketing company. Founded in 1999 by Dan Higginson, Synergy WorldWide quickly joined forces with Nature's Sunshine in 2000 which is spezialized in herbal dietary supplements. Synergy WorldWide is led by President Dan Norman and is available in 26 countries worldwide. Synergy WorldWide's mission statement to " transform lives around the world by providing the most innovative and highest quality health solutions." is really no different from all the other MLM companies in the health and wellness industry. Just to be clear, my review is not aimed at reviewing the companies product I'd rather look at the income opportunity, Synergy offers to potential propects. Still, it is important to look at the products to see if there would be a good market for you to sell the products. Synergy's products are aimed at improving your gut's health. The companies flagship product is ProArgi- 9+ which contains l-arginine. According to Wikipedia, argenine is an essential amino-acid in humans. They also say that "Most healthy people do not need to supplement with arginine because it is a component of all protein-containing foods and can be synthesized in the body from glutamine via citrulline." Synergy recommends to start with its Purify program with the Synergy Purify Kit which consists of Biome DT, Biome Shake, Biome Actives, Body Prime, and ProArgi- 9+. Step 2 is to carry on with Synergy's other products to achieve 'Elite Health.' These products include meal replacement shakes, skin care products, and dietary nutrition products. A canister (375g) of ProAgri- 9+ retails at $84 or $70 wholesale price. This equals 60 CV. The Biome Shake is a bit cheaper with $58.50 retail for 600g. CV stands for commisionable volume, by the way, which we will learn more about in Synergy WorldWide's compensation plan. To become a member with Synergy WorldWide, one has to fill in a membership form and activate one tracking center with a 150CV order. This basic option is called the Leader option. A 150 CV order would be a Trulum skin care pack for example which costs $225 wholesale. The second option is to activate three tracking center's with a single order of 300 CV, around $500. This is the Executive option. The third option is to spend 500 CV/around $800 to activate three tracking centers as the Elite option. To maintain your active status, you need to purchase at least 240 CV/$280 every six months. But wait, there is more money to be spent. 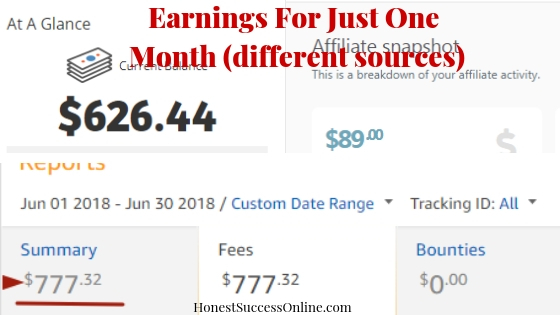 Before we even talk about how to earn commissions with Synergy, we need to look at the monthly qualification to even be eligible to earn one single dime. The third step is to maintain qualification of your Tracking Center(s) on a monthly basis . Your Tracking Center(s)will be qualified each month by purchasing a minimum of 60 CV of product for resale on Tracking Center 1 . Basic qualification allows you to earn Retail Markup and Basic Commissions only. By placing an order of at least 60 CV on your Tracking Center 1, you qualify at the Basic level for that month’s commissions . Basic qualificationwill not maintain banked volume. 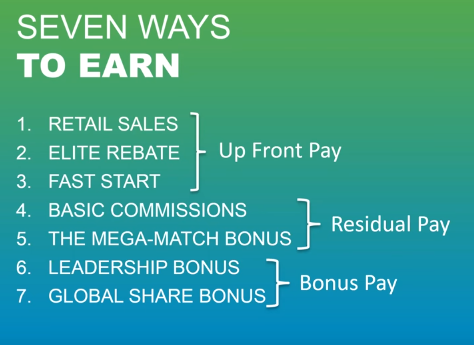 Standard qualification allows you to earn all bonuses during that commission month except for Elite Rebate. •Either place 120 CV or more in total orders on your Tracking Center 1 . •OR- Place an Autoship order of 100 CV or more. Elite qualification allows you to earn all bonuses during that commission month including the Elite Rebate. Wow, what a compensation plan that is... 🙁 Let me rephrase it: the more you pay, the more you could potentially earn. What happened to commission payments based on sales volume? Nothing to be found on the Synergy compensation plan. The basic commission on team sales is very low with only a 10% pay out. To get the Mega Match bonus (earn 100% on your team members commission payments), one has to have at least 120CV a month. It is very clear that the emphasis is on recruiting, and more recruiting, and on Synergy members making personal purchases to qualify for commission payments. Is this a pyramid scheme? I'll let you be the judge. Unfortunately, there is no income disclosure available online which doesn't surprise me. Unless you are an experienced network marketer and are able to recruit lots of people, I don't think you can make money with Synergy WorldWide at all. It is most likely that you spend more than you actually earn considering the amount of personal product purchases each month to qualify or commission payments. The company has been around for 20 years and operates in over 20 countries. So far I haven't seen any negative reviews of the products or customer service. Not accredited with BBB and no rating. It is not clear what training tools, if any, and support the company offers to its members. To qualify for commissions, members have to make monthly purchases of at least 60 CV/$70. The more products one purchases, the commission payments are possible. Low team commission payments of 10%. The focus is on recruiting not selling. Pyramid scheme? While Synergy WorldWide's products may be of high-quality and worth the money, the Synergy income opportunity is rather appealing. It is always a red flag to me, when personal purchases of members are required on a monthly basis. It should be the product sales that qualify a member for commission payments not monthly personal purchases. If recruiting is your strong side then you may be able to earn an income but otherwise, it may be better to stay away from this company and this way of earning money. Here is what I would recommend to make passive income online. 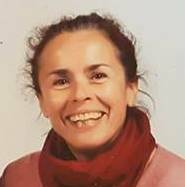 Look, I have been involved in multi-level marketing for many years, and I know how hard it is to sell but especially to recruit new people. A few years back I've found a way to make truly passive income without selling or recruiting, and earn now four figures each month. For the past three years, I have been building my online business that doesn't involve recruiting or calling people at all. Now I can work whenever and wherever I want to work with only a laptop and an internet connection. It s called Affiliate Marketing which is a legit way of making money online. It helps people to gain the time and location freedom they are seeking plus an unlimited income potential. Read my full guide on Making Money Online. I am just an ordinary person like everyone else, who wanted flexible hours but also the opportunity to work around my family. And I know if I can make it happen, so can you. Once you get the foundation right, you will earn passive income for years to come. If you are new to affiliate marketing, I have got good news. You can learn how to build a successful online business step-by-step with my #1 recommended training platform Wealthy Affiliate! Being part of this amazing training platform has transformed my life and could be changing yours for the better too. Ready to take the leap and start building a business that doesn't involve recruiting or selling? You can join Wealthy Affiliate for free to see if this is the right path for you. So check it out for yourself - NO Credit card needed, no strings attached. Previous Post Nature’s Sunshine – A Real Income Opportunity? Next Post LifeWave Reviews – Is It Just A Scam?